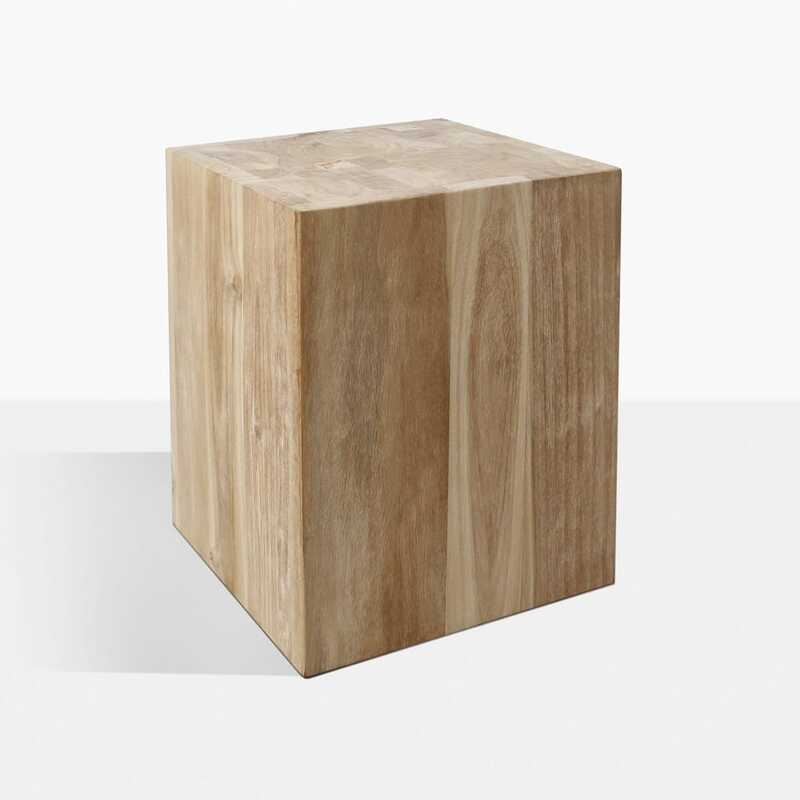 Dress your space in rustic glory with the exceptional Gabby Raw Teak Side Table, an utterly gorgeous accessory from Design Warehouse.The Gabby Raw Side Table is perfect for indoors and out, offering a sense of relaxed luxury to your surroundings. The Gabby is versatile enough to suit deep seating, and relaxing outdoor areas as well as compliment a modern home! 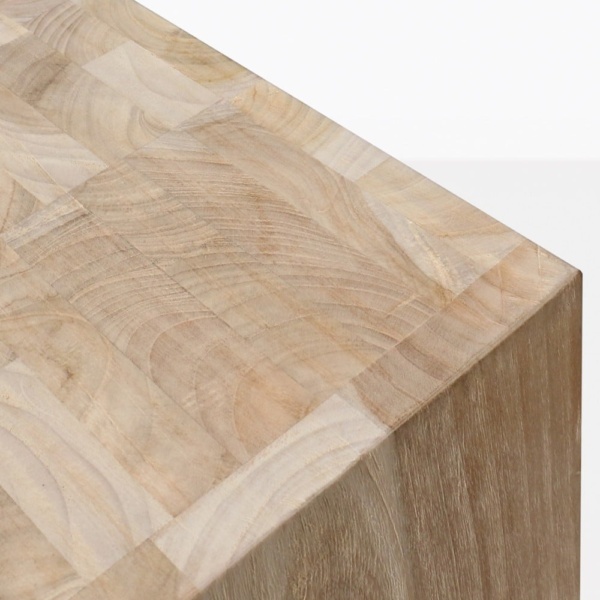 A humble style, the Gabby Accent Table offers a simple rectangular block in raw teak which shows off the stunning wood, grooves and character, allowing you to place it wherever you see fit, inviting excellent style and precision wherever you go! Our Gabby Tables come in both raw teak and aged stained teak, presenting a simple, straightforward and chic design which means that you can compliment many settings and spaces! Situate the Gabby Raw Teak Outdoor Side Table in and amongst your fabulous deep seating for a splendid and welcoming environment of casual dining and entertaining! This beautiful accent table will be an ideal addition to your sitting room inside. Place a Gabby Side on either end of your leather sofa and let the chic setting take your breath away! Think about these incredible, well-designed, rustic tables in your commercial space as an offering alongside your sun loungers or relaxing chairs, such as the Adirondack or another cushy variety. It’s pieces like the Gabby Side that really finish off a look, and do with calm, refined sophistication. Design Warehouse is the leader of luxurious and relaxed outdoor furniture. Our array of fine furniture includes deep seating, dining furniture, relaxing loungers and chairs, umbrellas, planters and side tables, as well as MUCH more! And within those options are stunning materials that offer options when you are building an open air living room you can totally unwind in. Purchase a Gabby Raw Teak Side Table and transform your space into one that is finished, polished and sophisticated.